IELTS Focus. Free lessons, advice and tips for IELTS preparation. Are you still trying to achieve Band 7+ in IELTS? I can help you get the IELTS score you need. 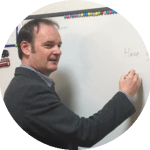 Hi, I’m Ray and I own an English school in Japan (London Language Lounge). I have been teaching IELTS for 9 years. I founded IELTS Focus to help my students get a high band score in the IELTS exam. This website contains free blog articles, tips, strategies and free lessons to help you on your IELTS journey. This site covers each part of the IELTS test, Reading, Listening, Speaking, Writing task 1 and Writing task 2 essays. I will show you the correct techniques, especially with writing, to help you hit your target score. There is a lot of bad advice out there regarding IELTS, on top of that, many students think they can just jump to a Band 7 without much effort, in fact, it takes a lot of work and preparation to get a high score in IELTS. Take a look at the blog posts section below. Do you need to work on your speaking skills? IELTS Focus offers mock speaking tests and a speaking correction service. These are 40-minute sessions where full feedback is given to help you find what is stopping you getting a higher band score in your speaking. This is a one to one lesson on Skype or Zoom. Click here for more details. Take a look at the Testimonials page to see what our students have said. What’s more important in grammar, range or accuracy? Are you struggling with your writing? stuck at Band 6? Then take a look at our writing correction service below.